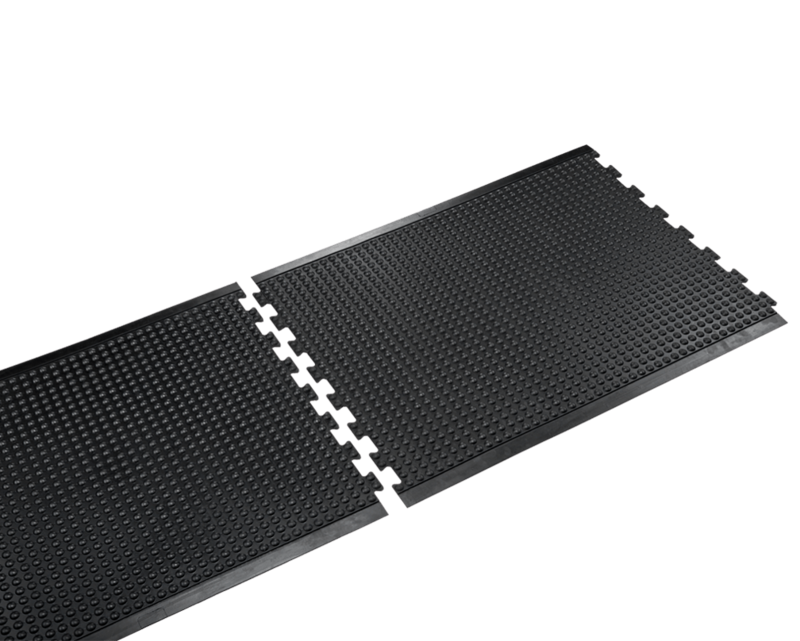 Yoga-Flex® is a classic bubble anti-fatigue top surface mat that effectively stimulates leg and calf muscle movement! 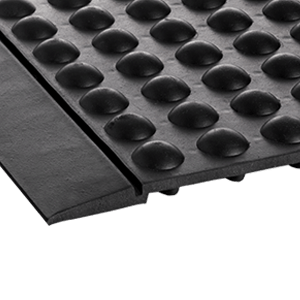 Bubble surface stimulates muscles and blood flow to reduce fatigue. 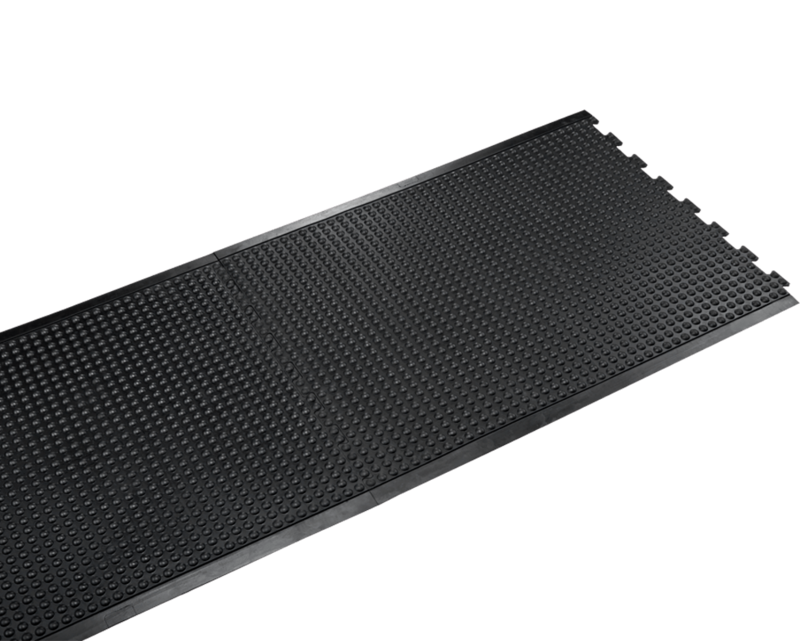 The dense textured surface guards against slips and falls. Rolls quickly for easy cleaning and maintenance. Affordable solution for small commercial locations. 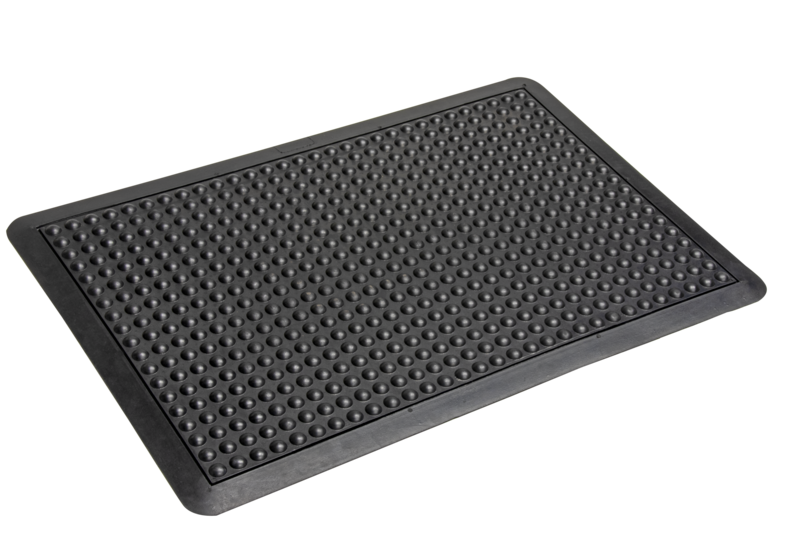 Center Size: 35" x 47"
End Size: 35" x 47"
Provides a heavy-duty solution for dry areas e.g. : Factory, Work Station, Finishing/Assembly Station, and Shipping/Packaging Area.